WOW! Another $15,000 PRICE REDUCTION!! ACT NOW! Home is a tri-level style home with all bedrooms upstairs and main bath. Kitchen, Dining, and Living room with fireplace are located on the main floor. Ground level of home has a room that can be used as a family room or office, a storage room, and the laundry and storage area. Kitchen has a pass through to the dining room. Home has great potential for a year round home or an UP NORTH COTTAGE. Great location only 1 mile to the sandy beach of Lake Michigan just down the street. Large site has many shade trees and sloping terrain ideal for great landscaping ideas! Partial fenced back yard. Detached garage for storage of recreational toys! 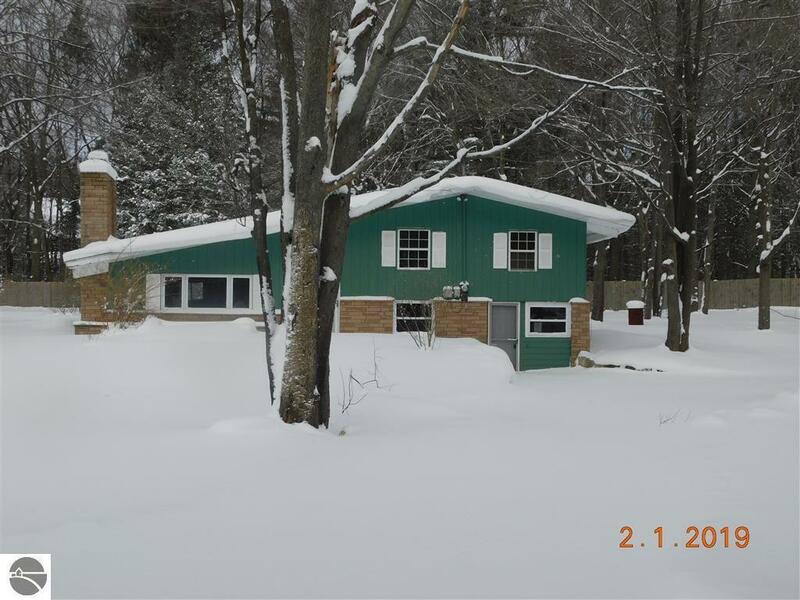 Great price and opportunity to make this home your 4 seasonal year round getaway! Good investment property!